It’s time to upgrade your facility – expansion or building a new building, either one brings on extra work and headaches! However, that is a good thing because your business is growing. And with that expansion comes new epoxy flooring. Take a minute to read the following tips and alleviate a few headaches on the epoxy floor installation. The finishes on new construction are often second thoughts for the installation. Contractors, architects and owners spend a lot of time picking out colors, materials and locations for epoxy flooring but very little time planning the installation. For a successful installation you need to spend time early in your building process to plan the installation. Remember when a flooring contractor starts installing epoxy, they are taking up the floor. The other trades are not going to be able to work in the same area. This is a problem on a large percentage of the new construction projects we are involved with. The epoxy flooring installation is one of the last finishes to be installed. Typically by this time the construction project is behind schedule, and the owner is pushing to get into their new building. It is imperative that you build EXTRA time into your construction schedule for the epoxy flooring. You do not want to compromise the long term success of your floor for a couple of days that were not planned for. Concrete curing is often overlooked on new construction also. The concrete has to have sufficient time to cure before you install epoxy floors. Contractors will plan to pour concrete for many different reasons at different times during construction. New concrete does not start adequately releasing moisture until the building is closed in and under normal operating conditions. This is a major problem https://liquidfloors.com/wp-admin/media-upload.php?post_id=13089&type=image&TB_iframe=1on new construction since the HVAC systems are not turned on until nearly the end of construction. Typically when they are turned on there is not enough time for sufficient cure of the concrete and epoxy floor installation. Knowing your options in advance can help alleviate unplanned expenses or disappointment due to delayed floor installation because of high moisture. Have a plan in place for moisture testing. In your bid phase you should get upfront pricing for added moisture primers. You do not want to receive prices for a moisture primer when you are only a couple of weeks away from install. Most new construction projects will require a moisture tolerant primer – plan for it and you will be ready. 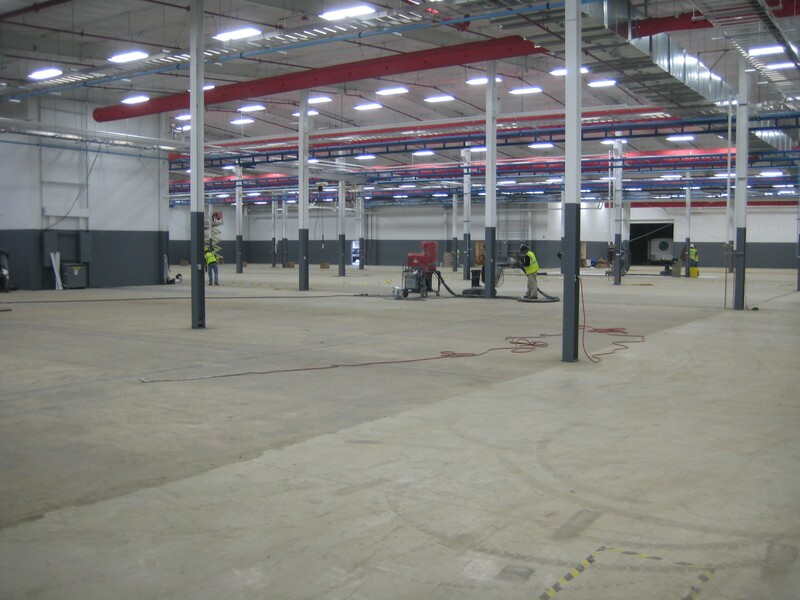 Liquid Floors, Inc. installs epoxy flooring on new construction multiple times a year. Let us help you and your contractor plan an epoxy floor that will give your building a first class facility look! You can start here or Call us at 704-543-7565 or email at info@liquidfloors.com.